Why Bangkok? What’s Great About Bangkok? Home to more than 14 million people (and more than 40 times the size of Thailand’s second largest city), Bangkok offers an amazing mix of big city life, stunning temples and historical sites, excellent food, unique Thai culture and excellent dining and nightlife. As one of Asia’s most exciting cities, Bangkok shis a great place to visit, whether for one night or several weeks. Bangkok’s huge range of things to do and places to see make it a destination that will keep you entertained and interested for the duration of your stay. As Thailand’s commercial and cultural hub, Bangkok is definitely worth including as part of your Thailand itinerary. Even if you’re not a big city type, stay for two to three days to get a taste of life in Thailand’s capital and experience what Bangkok is all about. How Much Time Should I Spend in Bangkok? Bangkok is a huge city, and it’s easy to spend a month or more in the capital without seeing all it has to offer. However, if you’d just like to see the best of Bangkok before moving on to one of Thailand’s other destinations, two to three days should be enough time. For a more in-depth Bangkok experience, plan to spend five to seven days in the city. With a week in Bangkok, you’ll be able to see all of the city’s must-see attractions, enjoy the fantastic food and nightlife, and really get in sync with Bangkok life. If you’re just passing through Bangkok on the way to somewhere else in Thailand and want to quickly see the highlights without spending too long in the city, one or two nights is enough to visit Bangkok’s must-see temples, taste some local Thai food and have a fun night out. What Are Bangkok’s Must-See Attractions? The Grand Palace is one of Bangkok’s most popular historical attractions. The residence of the Thai Royal Family until 1925, the Grand Palace’s grounds contain Wat Phra Kaew — one of the most sacred and important Buddhist temples in Thailand. Wat Pho, also known as The Temple of the Reclining Buddha, is a short walk from the Grand Palace. One of Bangkok’s largest temples, Wat Pho houses a 160 foot reclining Buddha and a large collection of Buddhist statues and artwork. Located across the Chao Phraya River from Wat Pho and the Grand Palace, Wat Arun – The Temple of Dawn – is a stunning Thai temple built alongside the river. Take the ferry from Tha Tien Pier near Wat Pho to reach the temple. American businessman Jim Thompson revitalised the Thai silk industry during the early 20th century before disappearing mysteriously in Malaysia. Thompson’s incredible home, which is decorated with Thai, Chinese, Khmer and Burmese art, is open to the public. Bangkok is a shopper’s heaven, with a huge selection of shopping malls offering everything from cheap clothing and trinkets to designer fashion. See our separate guide to Bangkok Shopping Malls if you want comprehensive info. Good shopping locations include Siam Paragon,the MBK Centre, Central World and the recently finished Central Embassy. While there aren’t any floating markets within Bangkok itself, two are within easy reach of the city. 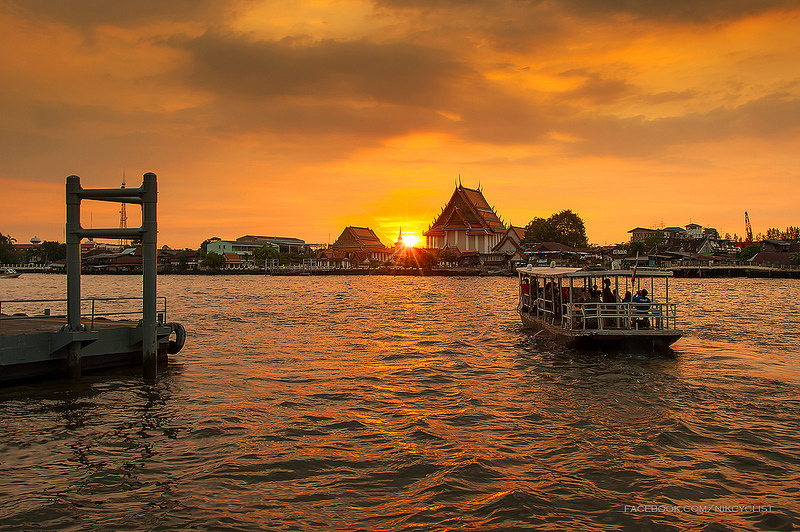 Damnoen Saduak is Bangkok’s most popular floating market, while Amphawa Floating Market is a more popular day trip and weekend break destination for Thais. Bangkok is full of exciting outdoor markets offering souvenirs, clothing, accessories and lots more. Bangkok’s warm climate makes it the perfect city for rooftop dining. There are several rooftop bars throughout Bangkok offering excellent views across the city. TryVertigo Grill and Moon Bar or the Sirocco and Sky Bar on State Tower for romantic drinks as the sun sets. There’s no need to spend a fortune to enjoy great food in Bangkok. Tasty, inexpensive and completely authentic street food is easy to find throughout the city. Try Sukhumvit 38 Night Food Market for excellent Thai street food in a location close to the BTS Skytrain. Bangkok is home to hundreds of high-end restaurants serving Thai and international food of an extremely high standard, many of which are quite reasonably priced. Try Issaya Siamese Club or Nahm, located inside the Metropolitan Hotel, for a taste of high-end Thai dining. Royal City Avenue – better known as ‘RCA’ – is where you’ll find most Thais partying. Khao San Road is home to Bangkok’s cheap and cheerful backpacker nightlife, while Thonglor is where the city’s young and affluent spend their evenings. Bangkok’s seedy nightlife is mostly clustered around Patpong in Silom — which doubles as a tourist-focused night market — and Soi Cowboy and Nana on Sukhumvit Road. You can find most of Bangkok’s gay nightlife in the area around BTS Sala Daeng. Is Bangkok Expensive? What’s a Reasonable Bangkok Budget? Bangkok is one of Asia’s most affordable big cities. If you’re visiting on a low budget, you can easily see the city’s best attractions and stay in comfortable — albeit basic — accommodation for less than 1,500 baht per day. Bangkok’s extremely affordable mid range and luxury hotels make it a great destination for visitors seeking value. If you can afford to spend 4,000 to 7,000 baht per day, you’ll have no problems enjoying some of Bangkok’s best accommodation, dining and nightlife. Be aware that costs can quickly add up in Bangkok, especially if you prefer to dine in Western restaurants and spend a lot of time enjoying the city’s nightlife. Despite this, it’s easy to have a good time in Bangkok without spending more than 3,000 or 4,000 baht per day. Bangkok is an easy city to enjoy on a budget. Stick to backpacker hostels or guesthouses to keep your accommodation costs as low as possible. Dorm beds are available from 300 baht per night, while private guesthouse rooms on Khao San Road can be found for 1,000 or less. Stick to street food and food courts to minimise your food expenses. Expect nightlife to take up a significant percentage of your budget if you’re travelling on a shoestring, especially if you go out in Sukhumvit or RCA instead of cheaper nightlife areas like Khao San Road. For a budget experience in Bangkok, expect to spend between 1,000 and 1,500 baht per day, including the cost of accommodation. Bangkok’s numerous affordable three and four-star hotels make it a good city for travellers on a reasonable budget that don’t expect the ultimate in luxury. At 4,000 baht per day ($123 USD or $83 GBP) you’ll be able to enjoy a much more comfortable experience in Bangkok. Three-star hotel rooms are available from 1,500 baht per night in convenient areas like Silom and Sukhumvit. Many of Bangkok’s four-star hotels offer spacious, comfortable rooms from as little as 2,000 baht per night during the low season. As your budget increases, so do your dining and nightlife options. It’s easy to enjoy a fantastic dinner and night out in Thonglor, one of Bangkok’s upmarket dining and nightlife districts, for around 1,500 to 2,000 baht per person. Bangkok’s luxury hotels are some of the most affordable in the world, with incredibly luxurious suites available from 5,000 baht per night in many properties. 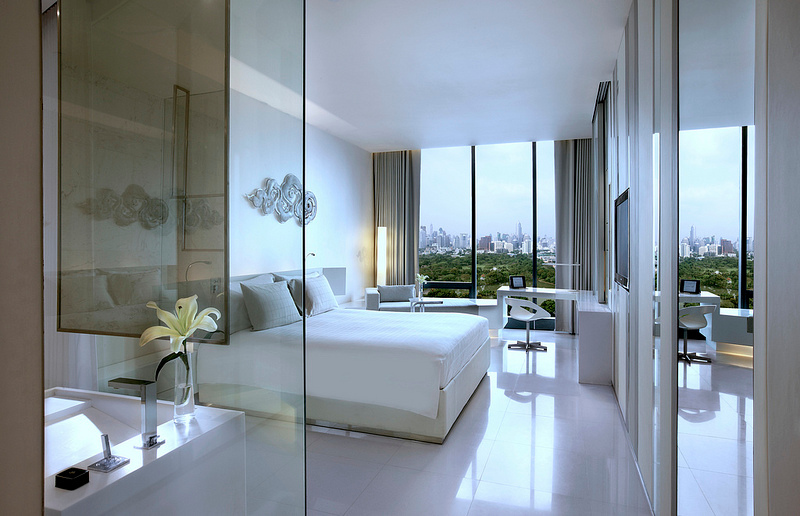 For 10,000 baht per day, you’ll be able to enjoy an incredible five-star experience in Bangkok. Five-star hotels in Bangkok start from around 3,000 baht per night, although the city’s most luxurious properties are usually priced from 6,000 baht per night upwards. With a budget of 10,000 baht per day, you’ll be able to enjoy Bangkok’s best dining and nightlife. Bangkok is a huge city with several different areas, all of which have different strengths and weaknesses. From bustling Sukhumvit to historical Rattanakosin, there’s no “best” place to stay — only different options. If you’re visiting Bangkok on a strict budget and want to be around other backpackers, Khao San Road is the place to be. This inexpensive and constantly bustling street in Banglamphu offers some of the city’s cheapest accommodation, restaurants and bars. Nearby Rattanakosin, Bangkok’s historical district, is where you’ll find the majority of the city’s temples and historical sites. Rattanakosin’s affordable guesthouses and growing selection of luxury hotels makes it a good choice for budget and luxury travellers alike. If you’d like to enjoy Bangkok’s best shopping, Ratchaprasong – the around surrounding the city’s biggest shopping malls – is the place to be. The five-star hotels around BTS Chit Lom and Ploenchit offer comfort and convenience close to Bangkok’s best places to shop. Sukhumvit Road, which continues east from Ratchaprasong throughout Central Bangkok, is where you’ll find most of Bangkok’s restaurants and nightlife. A great selection of hotels are located between BTS Asok and Thonglor, all of which offer convenient access to the BTS. Silom Road, another commercial centre of Bangkok, offers the same convenience and access to nightlife as Sukhumvit. Both Silom and Sukhumvit are served by the BTS and MRT, making them great hub areas for getting around Bangkok using public transportation. Bangkok’s Riverside area, which stretches along the Chao Phraya River near Silom, is where most of the city’s ultra-luxury hotels are located. If you’re seeking a luxurious, relaxing holiday in Bangkok, this is the place to stay. When’s the Best Time of Year to Visit Bangkok? Bangkok’s cool season is the most popular period for tourism, with holidayers from Europe and North America visiting Thailand in great numbers. The cool season is also when you’ll experience Bangkok’s best weather, with daytime highs of 30 to 32°C. Due to the higher demand for accommodation, expect to pay 50-100% more for hotel rooms during the cool season than at any other time of year. From March until June, Bangkok is hot and sunny. Demand for accommodation is lower than during the cool season, so expect better deals on hotel rooms and tours. Highs of 35°C with 75% humidity from March until May make this by far the hottest period to visit Bangkok. While the rainy season might sound like a terrible time to visit Bangkok, it’s nowhere near as bad as it seems. 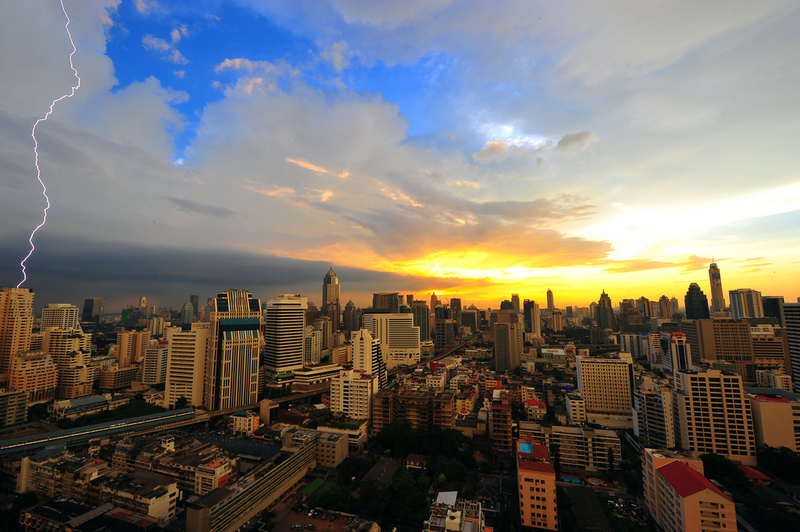 The rain is usually limited to a one or two-hour period in the afternoon and evening, giving you plenty of time to explore Bangkok in between tropical rainshowers. Although temperatures during the wet season aren’t as high as in April or May, the humidity — which can often exceed 75% — can make spending lots of time outside uncomfortable. 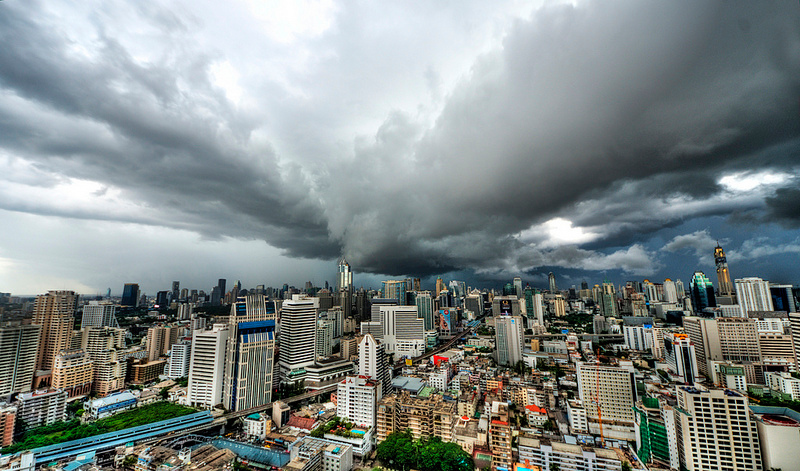 During the rainy season, expect to find excellent deals on hotel rooms in Bangkok. Is It Easy To Get Around In Bangkok? Bangkok is a modern city with a good public transportation system. The BTS Skytrain and MRT span three lines that cover most of Central Bangkok, although some areas – such as Rattanakosin, where you’ll find most of Bangkok’s temples – are only accessible by taxi. The BTS Skytrain runs along two lines that cover most of Central Bangkok. The Sukhumvit Line runs from northern Bangkok to the city’s eastern suburbs, passing through most of the city’s shopping, accommodation and nightlife areas along the way. The shorter Silom Line runs past Lumpini Park and down Silom Road, providing easy access to Bangkok’s financial district and the Riverside area. The Silom Line connects with the Chao Phraya River at Saphan Taksin Station, providing easy access to river transportation. 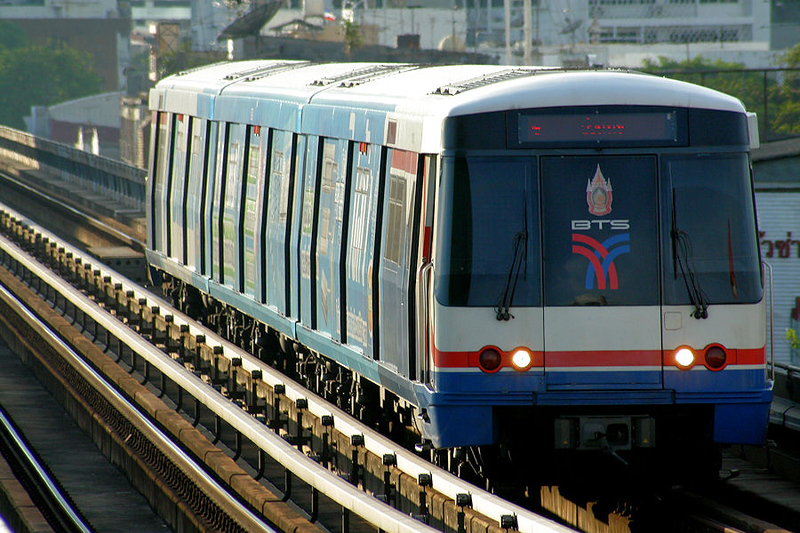 The MRT is Bangkok’s subway system, offering access to several areas that aren’t served by the BTS. Although the MRT isn’t as useful for visitors to Bangkok as the BTS Skytrain, it’s an excellent choice for exploring northern Bangkok and accessing Chatuchak Weekend Market. Bangkok’s bright and colourful taxis are easy to spot from anywhere in the city, making them a cheap and convenient way to get around. Taxi fares start at 35 baht and will usually end up at 150 baht or less for short trips within Central Bangkok. Taxis are required by law to use the meter, although many taxi drivers that hang around the popular shopping malls and hotels will only offer a flat fare. If a driver refuses to turn on the meter, close the door and find another taxi — there’s almost always one or more nearby. Bangkok taxis often turn down fares, especially if getting to your destination involves sitting in traffic. Although this is technically illegal, it’s extremely widespread and passengers have few options to report drivers. If a taxi driver turns down your fare, try another taxi nearby. Traffic in Bangkok can be incredibly bad during the morning and evening rush hour. If you’re staying close to the BTS or MRT, it’s almost always faster to take public transportation back to your hotel at the end of the day instead of relying on a taxi. Motorcycle taxis – usually a group of men in orange, green or pink vests – are located close to most major intersections in Bangkok. These drivers offer trips down sois (small streets) for less than the rate of a meter taxi. Fares for motorcycle taxis are fixed, so be sure to negotiate before you get onboard. Expect to pay 20-30 baht for short trips to and from the BTS. Most motorcycle taxis will refuse long trips – if you need to travel more than a mile, choose a taxi instead. Bangkok’s large network of waterways isn’t just a historical relic – many khlongs are used for transportation. The Khlong Saen Saeb, which runs east-west across Bangkok, is used by over 60,000 people per day travelling to and from their workplaces and other Bangkok locations. The Saen Saeb Express Boat is a convenient, albeit smelly, method of transportation if you’re staying in Ratchaprasong or Sukhumvit and want to travel to Rattanakosin. The Express Boat connects with the BTS at Hua Chang Pier, which is a short walk from BTS Ratchathewi. The Chao Phraya Express Boat runs up and down the Chao Phraya river on a busy schedule, offering easy access to the Grand Palace, Wat Pho, Wat Arun and other attractions along the river, as well as the Riverside luxury hotels. Is Bangkok Safe for Visitors? Bangkok is an extremely safe city by international standards, with very little violent crime and few security issues. While it’s extremely unlikely that you’ll be mugged or hurt in Bangkok, the city has a somewhat deserved reputation for scams aimed at foreign tourists. Most scams in Bangkok are simple overpricing cons, with locals (and in-the-know foreigners) charged one rate and tourists another. If you’re offered a taxi or tuk tuk for what seems like an excellent rate, turn it down — more often than not, the meter will be cheaper. Several common scams in Bangkok involve friendly strangers approaching tourists at temples and other attractions and offering excellent deals on gems and other jewellery. These scams usually involve aggressive sales tactics and fake items — if you’re approached, just ignore it. While there’s very little chance of you being pickpocketed in Bangkok, pay attention to your wallet in crowded markets. Keep your wallet in your front or jacket pocket to avoid becoming an obvious target. This is particularly important at Chatuchak Weekend Market. Where Can I Go From Bangkok? 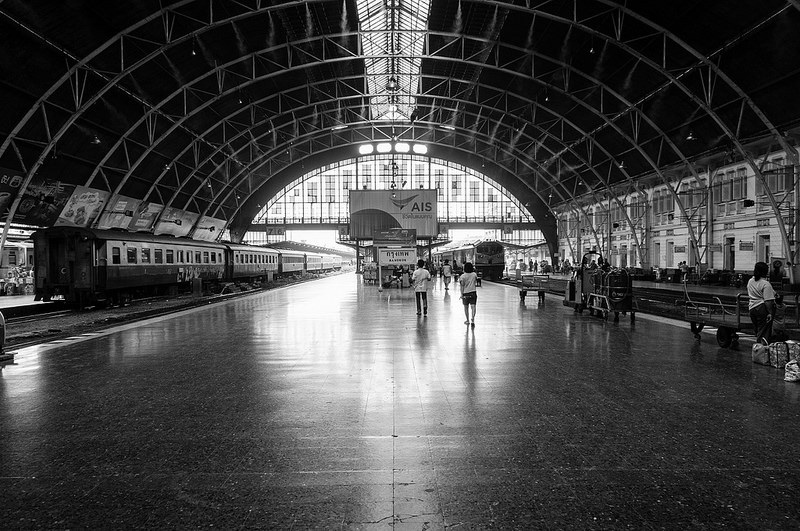 Bangkok’s two international airports, train station and great network of buses make it a great base for exploring Thailand and the rest of Southeast Asia. From day trips to long haul flights to international cities, there are hundreds of places to explore from Bangkok. Nearby beach destinations to Bangkok include Pattaya, Hua Hin and Cha Am. The islands of Koh Larn, Koh Samet and Koh Chang are popular destinations from Bangkok, with direct bus services from Ekkamai and Sai Tai Mai bus stations. Other popular day trip destinations include Kanchanaburi and Ayutthaya, both of which can be reached by minivan or bus from Bangkok. Overnight train and bus services are available from Bangkok to Chiang Mai and other major destinations in Northern Thailand. Phuket, Krabi, Surat Thani and other popular destinations in Southern Thailand are all easy to reach from Bangkok by bus. Bangkok’s two international airports – Don Muang and Suvarnabhumi – offer flights to a wide range of domestic and international destinations. Direct flights leave several times per day to Chiang Mai, Phuket, Koh Samui, Krabi and other popular tourist destinations. See our Bangkok Airport Guide for more info. I Want to Visit! How Can I Get to Bangkok? Bangkok has two international airports: Suvarnabhumi Airport (BKK), which is primarily used for long haul international flights and some domestic services, and Don Muang Airport (DMK), which is primarily used for short haul international and domestic flights. A huge range of airlines fly to Bangkok from most major airports in Europe, Asia, the Middle East and the South Pacific. 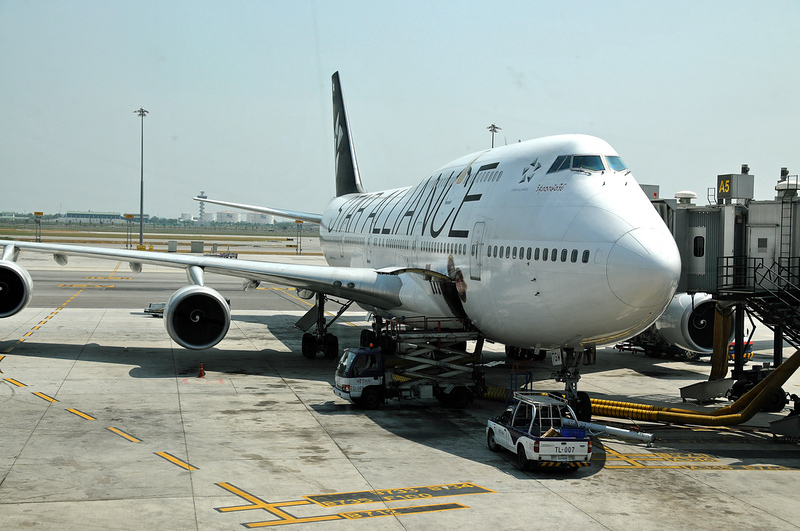 Most long haul flights to Bangkok land at Suvarnabhumi Airport, which is conveniently connected to the city via the Airport Rail Link. Holders of most Western passports receive 30 day visa-free entry to Thailand. This can be extended for a further 30 days at any Immigration Centre within Thailand. Tourist visas that allow for 60 days of travel within Thailand are available for most nationalities.